If you’re near a place called Sandy Beach in time to catch a 4 p.m. sunset, how can you say no? This photo looks almost tropical, but only because photos can’t capture temperature and windiness. It was darned cold and windy out on Sandy Beach tonight. The day began with a sense of awesome quiet along the waterfront and ended the same way — with a beautiful color show from Mother Nature thrown in for good measure. 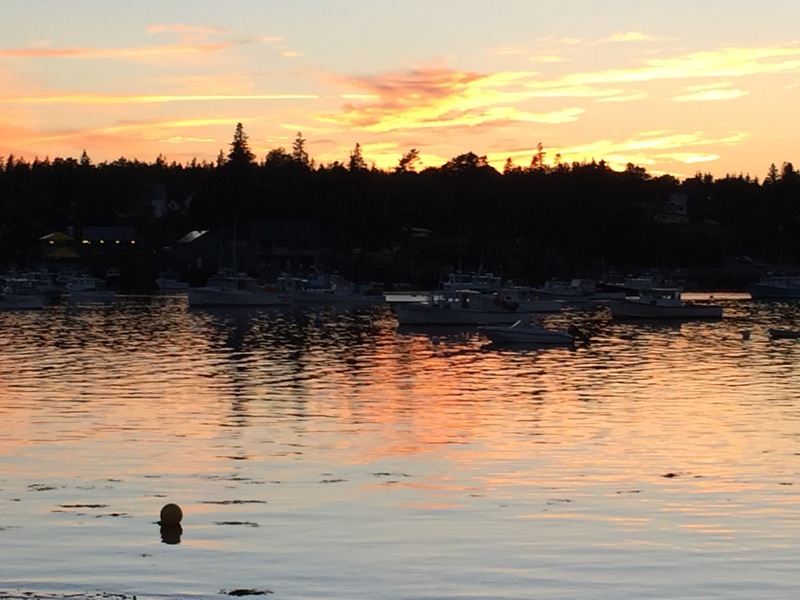 Peaceful, calm, tranquil — choose the synonym of your preference to describe a placid setting, add boats and salt water and wonderfully fresh seafood and locals who speak with a charming accent to the mix, and you have largely captured coastal Maine outside of Bar Harbor. It’s a great place for a getaway vacation. 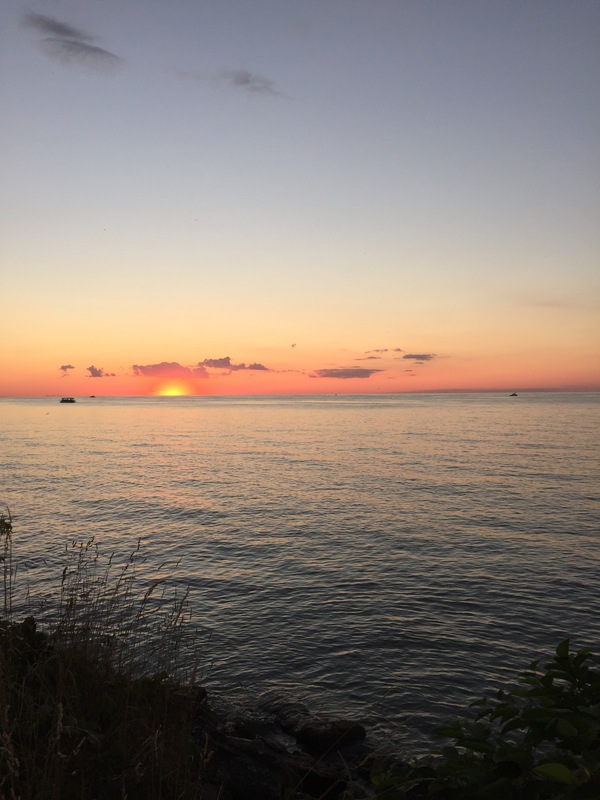 A beautiful Lake Erie sunset from Vermilion’s Main Street beach. We came up to Detroit for a quick visit with Russell and last night we took an elevator to the top of the Renaissance Center. 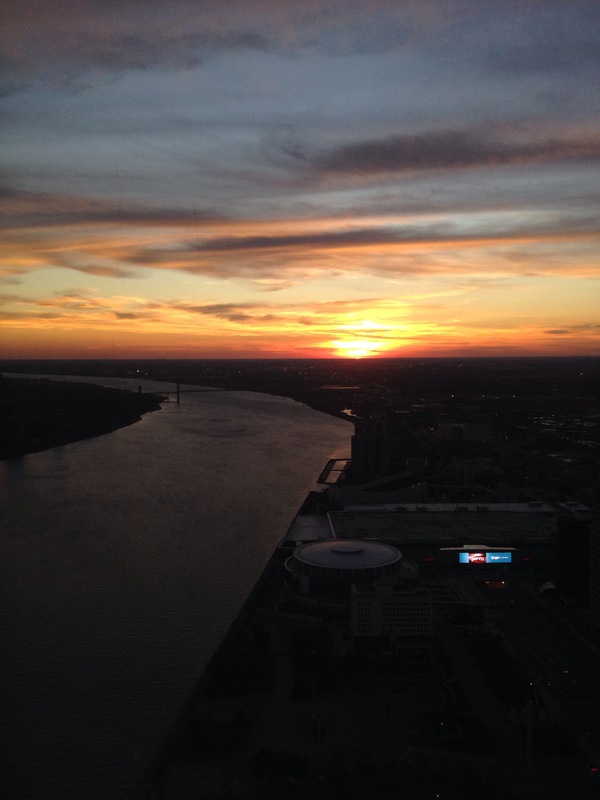 From our perch 70 floors up, we were treated to a splendid sunset over the Detroit River. 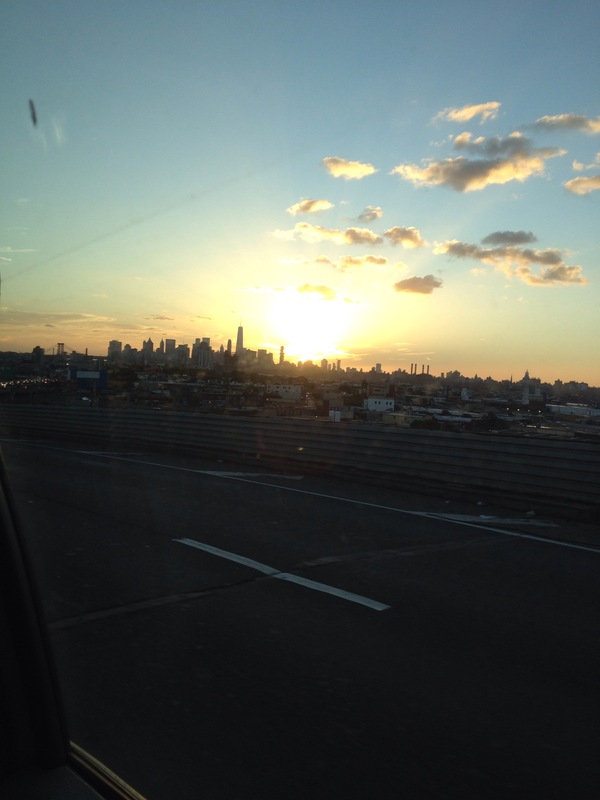 I was treated to a pretty sunset on my cab ride from LaGuardia to Brooklyn last night, which actually made the normally unpleasant experience tolerable.